Recently at the Vibrant Gujarat Startup Summit conducted last week in the run up to the Vibrant Gujarat Investment Summit in January 2017, the unexpected camaraderie between the Government and the Startups was clearly at display! It was not just the style but the substance of the event which really made the day of hundreds of startups who were present for the event. Be it the Coffee table selections for startups giving them the necessary recognition for their achievements or linkages with various accelerators enabled; the insightful sessions or the simple fact that the show itself was managed by a startup, the Government was literally on the roll as far as extending its arm to the startups. This was truly representative of the significant change in the outlook of the governments, both state and central, towards startups as the new age drivers of growth. What started with the launch of a Startup Action plan by the central government is now being followed by launch of state specific startup policies and related follow up schemes and benefits aimed at providing the necessary support to the startup ecosystem across the country. Karnataka, Telangana, Rajasthan and Gujarat are some of the states leading the effort to strengthen the startup environment. Apart from the above, there is also an additional 25% equity capital access assistance from Gujarat Venture Finance Limited (GVFL) to startups which have raised equity capital from registered venture capital funds without additional scrutiny, on same terms at which the capital was raised within 6 months of such raising subject to a ceiling of Rs. 5 crores. Also, once the startups mature, the government have additional provisions to keep supporting them till they cross the scale of 20 direct / indirect employees or till their turnover exceeds Rs. 25 Cr. per annum. Through these schemes, the Government of Gujarat is indeed reshaping the traditionally strong entrepreneurial spirit among the people of Gujarat. With this support, not only the second generation of existing businessmen are venturing out of the comfort zones of their current businesses, but also a new set of youngsters are taking their leap of faith. 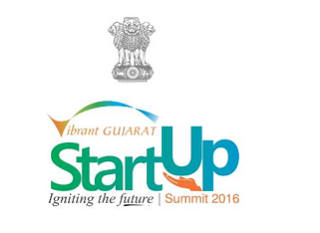 The immense amount of energy in the startups events, small or big, in Gujarat is indeed palpable! In some sense, through these steps, the government is ensuring that Gujarat continues to maintain its lead in the business sector and not just that, makes up by becoming a technological innovations’ hub for the country. In the next article in this series, we will have a look at the steps being taken by the Government to invigorate the Incubation ecosystem for startups.